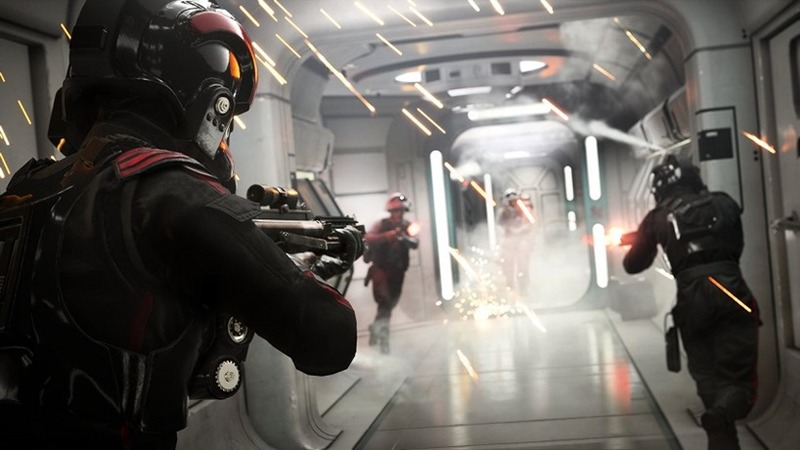 Star Wars Battlefront II is sidestepping the absolute mayhem happening with game releases at the end of this month, instead choosing the veryslightly less frantic November to propel you into its greatly expanded space action. The decision is likely going to give it some more time in the spotlight, and DICE is hoping to achieve some of the same this weekend. From tomorrow players will be able to hop into Star Wars Battlefront II’s beta, and there’s a new trailer to remind you of what’s waiting. The beta this weekend is meant to be for online services testing (and it probably still is in some capacity), but this is a weekend-long advertisement for DICE and EA. It’s not going to show the enormous amounts of new content that game has over its predecessor, but it should do a good enough job of showing off one or two new maps, new hero types and the eye-popping detail that goes into recreating one of the biggest franchises of all time. That’s at least what jumps out most in the sizzle reel trailer below. If you’ve pre-ordered the game you’ll get access across all three platforms starting tomorrow. The beta then opens up to everyone starting on Friday, and will run through until closing on Sunday. From there you’ll just have to be patient. Battlefront II launches in mid-November, and there’s a whole bunch of games to play between now and then. Perhaps when it finally arrives you’ll be in the mood for some intergalactic shooting, along with a new Star Wars story that’s already hitting some of the best notes. Battlefront II looks like a big improvement across the board, so I’m excited to play it again after having a good time with it at E3 earlier this year.